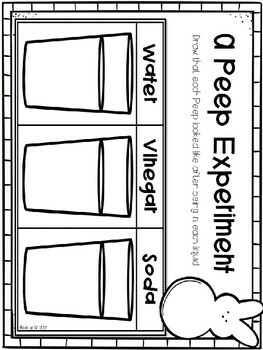 What will happen to a peep in liquids such as water, vinegar and soda? 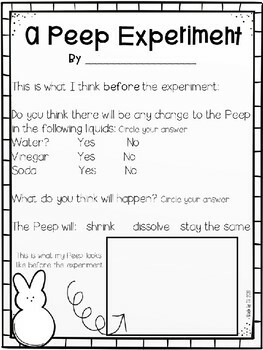 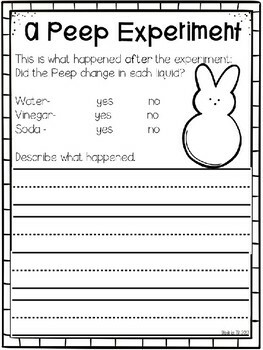 This download includes a recording sheet for before the experiment, after the experiment and a page to draw that each peep looked like after experimenting. 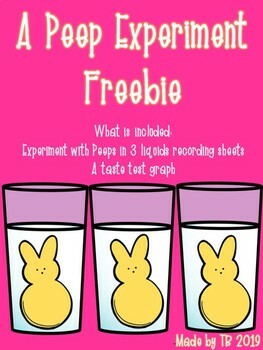 There is also a taste test graph using three flavors- original, fruit punch and watermelon.